So long, Beira! And thanks for all the seafood! Well-known Africa correspondent Lee Kasumba is in Mozambique’s central port city of Beira, exploring its opportunities and investment potential. She had the best meal of her life in a restaurant owned by a Taiwanese immigrant. Income tax in Mozambique is at 37% while the VAT rate is at a whopping 17% (locals she spoke to said they don’t mind paying taxes, if it’s spent well). The port in Beira processed only 30 000 containers in 1998. Today it does 240 000 per year. 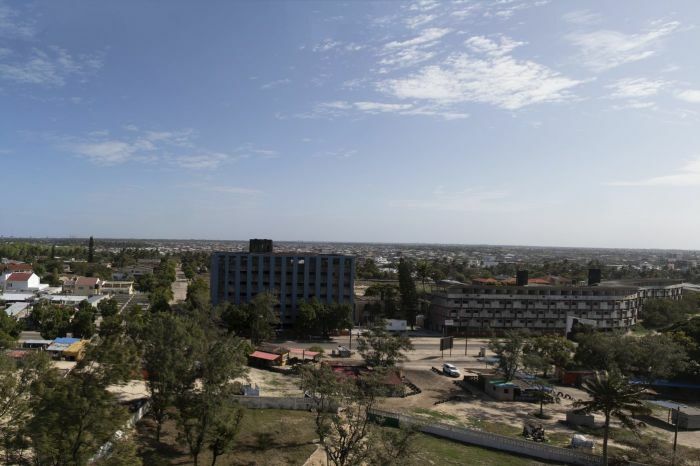 Kasumba describes Beira as a “cosy, spacious” city (it’s much smaller than Maputo), heavily influenced by China, with lots of construction and informal trading, day and night. Beer is cheaper than tea. The Money Show’s Bruce Whitfield interviewed Kasumba, asking her what else she has learned. Kasumba touched on the construction boom that went bust, as well as Mozambique's potential to become one of the world's most popular tourist attractions. Booming economy… cheap beer… great food… Beira is where it’s at, but the taxes! VAT at 17%... yoh! Bruce Whitfield interviews Lee Kasumba, who is exploring Mozambique’s central port city of Beira. The Money Show’s Bruce Whitfield interviews distinguished Africa correspondent Lee Kasumba, who is in Mozambique’s central city.